Last night, all Bollywood stars were shining at an awards event and as always, it was filled with refreshing beauty looks. From stark red lipsticks to glittery eyeshadows, every lust-worthy makeup style made its way to the red carpet. However, what caught our attention was the hairstyles. 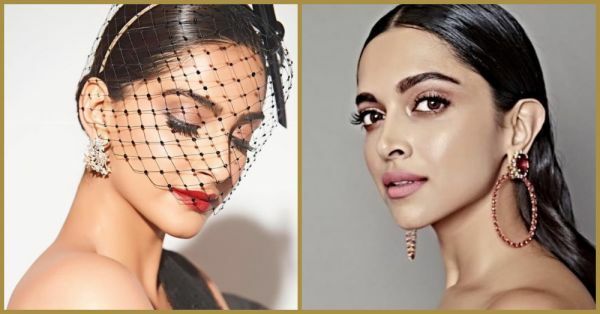 While no one tried something as extravagant or wild as the pop and rap stars from the Grammy's, but we were happy to see Bollywood actresses like Deepika Padukone, Sonam Kapoor and Karisma Kapoor try something new after a long time. If you've been a religious follower, you know that Deepika has made a clean bun her signature look since Padmaavat. Sonam Kapoor and Karisma Kapoor mostly keep their mane free-flowing. For their Filmfare looks, Deepika went for gelled back hair, Karisma paired her white Tony Ward gown with a top bun and for a change, Sonam allowed a cute hair accessory to take over her hair and makeup look. Check out the gorgeous hairstyles of our Bollywood girls! 1. Gelled back hair and punch-pink lips, you're doing it right Deepu! 2. Red lips & rosy cheeks... Would you just look at that cute Philip Treacy hat? 3. Janhvi Kapoor flaunted her short haircut. Exploring the beige and pink palettes for makeup, aren't we? 4. Bun-tastic Karisma, this hairstyle is the chicest complement to your outfit! 5. Sonakshi Sinha is taking a break from soft curls and poker straight hair. So, hello ponytail! 6. What complements a white gown better than a red lipstick? Sunny Leone's 90s hairstyle! These hairstyles are so versatile, you can try them for your date night or a party night. You can even wear these hairstyles for your friend's wedding, they certainly look charming enough to get you just the right amount of attention.